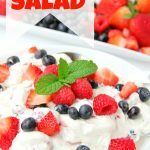 Triple Berry Shortcake Salad – An easy and delicious summer salad loaded with berries and hints of shortcake. One of my favorite recipes! Perfect for Memorial Day and 4th of July!! I’m getting so excited for Memorial weekend. Each year, Memorial weekend is our first FULL weekend up at our lake cabin, and we look forward to spending it with friends and family. We had big plans this past Saturday to put the finishing touches on everything up there – power washing the deck, getting my flowers planted, installing new solar lights. . .and then we looked at the forecast. Friends, it snowed this weekend. Not even kidding. I wish I was. Why oh why do I put up with this Wisconsin weather year after year? Why? Because I love my family and they’re all here. That’s why. All of the seasons here are beautiful, but summer. . .summer is my favorite – and it’s the shortest season out of all four. BUT. . .I try and make it last as long as possible. Today we’re making a beautiful and delicious summer salad recipe. This Triple Berry Shortcake Salad is one of the best salads I’ve ever dreamt up. It’s actually inspired by this Circus Animal Cookie Dip my kids adore. Let me tell you what. . .one bite and people will be asking you for the recipe. 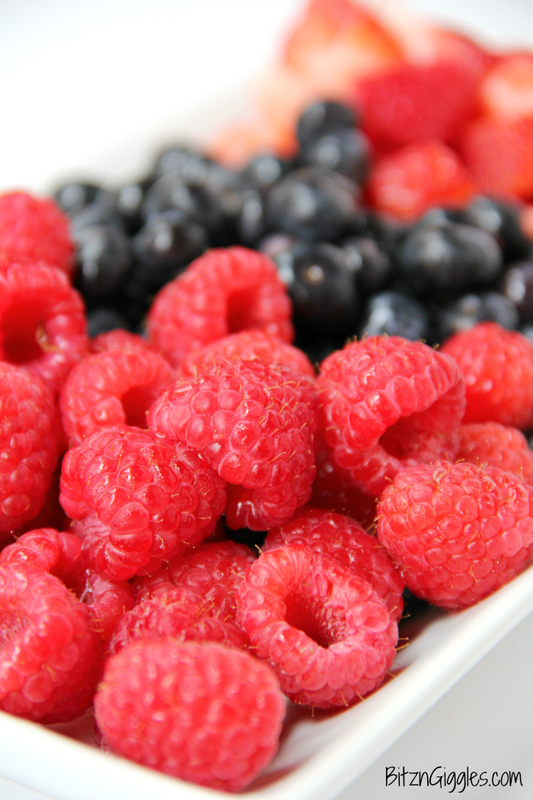 Do you know a berry lover? Are you one, yourself? Do you have kids or grandkids that love berries? Yes? Then, you need to make this salad. Don’t call it a salad around the children. It certainly doesn’t taste like a normal salad. It tastes like dessert and it’s so, so delicious. The red, white and blue color is pretty awesome, too, don’t you think? 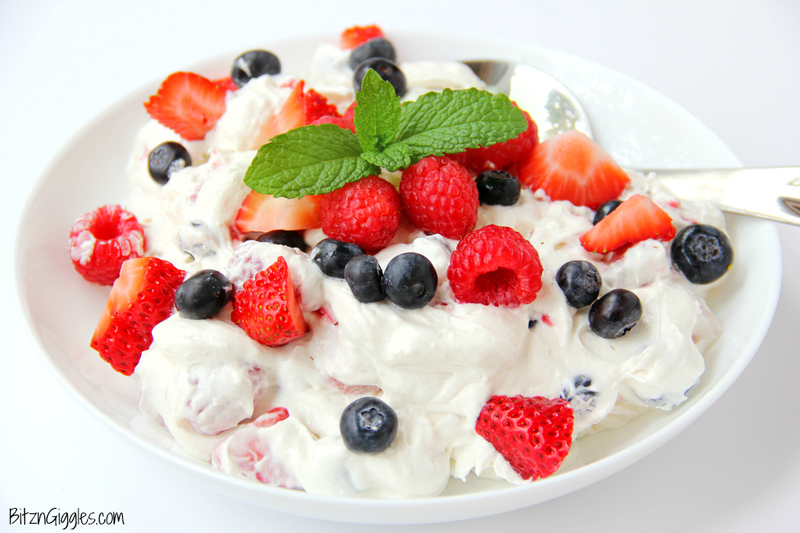 With Memorial Day and the 4th of July coming up this triple berry shortcake salad will impress all of your guests. The bowl you put this salad in. . .well. . .it may just be licked clean. Sorry. Not sorry. 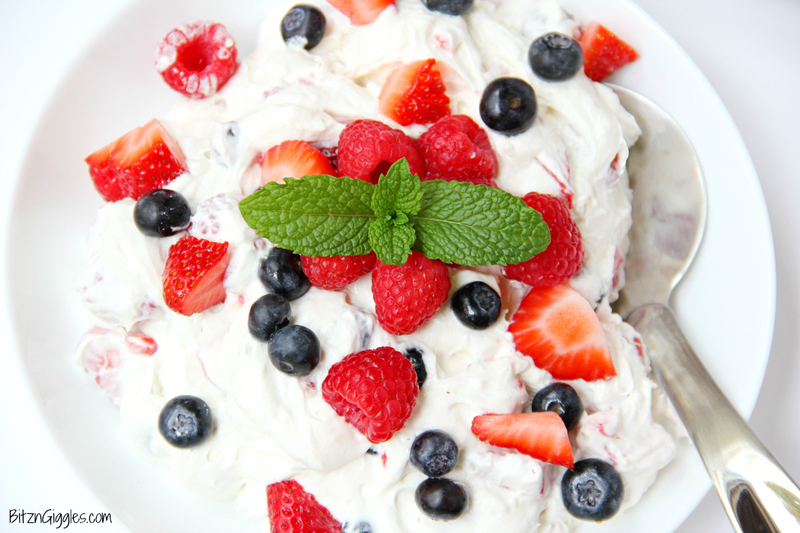 So start your summer party planning and make sure this simple fruit salad is on the menu! Your guests will thank you for it! And don’t be shy to send them here for the recipe. . .I’d so appreciate it!! Enjoy! 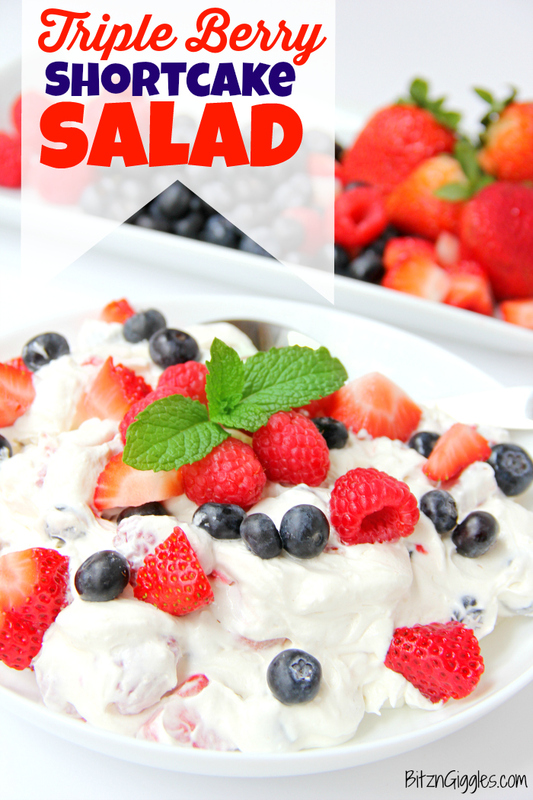 An easy and delicious summer salad loaded with berries and hints of shortcake. One of my favorite recipes and perfect for Memorial Day and 4th of July!! In a medium to large mixing bowl combine the cake mix, Cool Whip and yogurt. Gently add in the berries and mix well. Chill until ready to eat! When adding the cake mix, add the powdered cake mix ONLY.